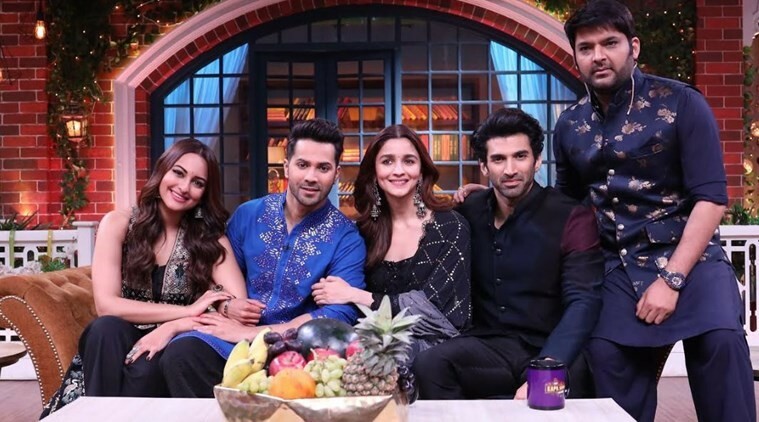 Bollywood stars Alia Bhatt, Varun Dhawan, Sonakshi Sinha and Aditya Roy Kapur appeared The Kapil Sharma Show to promote their movie Kalank. Seeing the episode, Alia Bhatt did seem a bit out of place, except when she was performing herself. We can give her the benefit of doubt here - maybe she was just tired of the continuous promotions of Kalank that began right after her movie Gully Boy. So while Alia Bhatt generally wasn't laughing at every joke and pun (and she needn't), we were quite impressed with her comic timing when she was performing an act with Varun Dhawan and Kapil Sharma. Alia Bhatt did not simply channel her Gully Boy avatar of Safina and the dialogues from the movie, she showed great comic timing in reacting and responding. Alia Bhatt seemed very spontaneous and enjoyed performing to a live audience on The Kapil Sharma Show. Varun Dhawan, too, made our jaws drop with his mimicry on The Kapil Sharma Show. He mimed the American superstar The Rock aka Dwayne Johnson, promoting the cast of Kalank on the show in the wrestler-actor's voice. In an earlier episode of a Kapil Sharma show, too, Varun Dhawan had done a similar act of miming The Rock, who had then reacted to it on social media. Just like we saw in the other promotions and launches of Kalank, Varun Dhawan and Alia Bhatt kept pulling each other's leg and it was fun. Sonakshi Sinha and Aditya Roy Kapur were mostly quiet, but Sonakshi enjoyed the attention from her fans. Comedian Krushna Abhishek really made the cast of Kalank laugh at his jokes, playing the part of Sapna, as usual. Some members of the audience, too, had the four guests in splits. 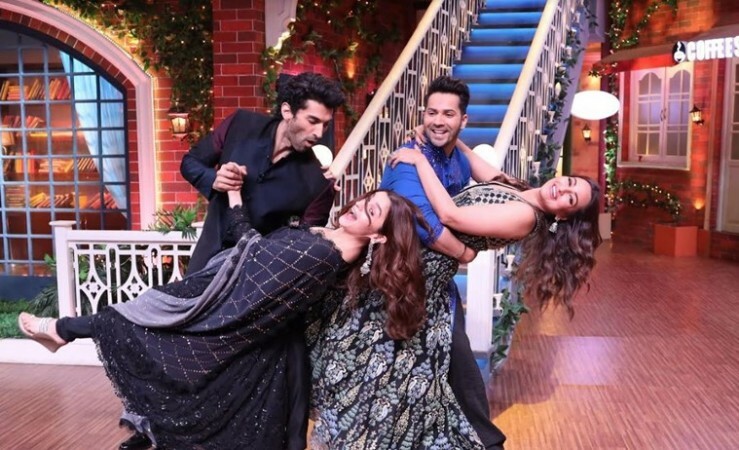 All four members of the Kalank cast sportingly danced to Tamma Tamma Loge, but Kapil Sharma made fun of their rather nice spontaneous dance, too. That seemed a bit uncalled for. However, one felt that the jokes on Archana Puran Singh are getting cruder, while the controversial Navjot Singh Sidhu is still being shown as a god. She seemed a bit irritated. Go easy on her, Kapil Sharma and team. She has stood by you when Sidhu had a controversy and is away for election campaigning. In a recent episode of The Kapil Sharma Show, Archana Puran Singh had also tauntedthe creators for getting paid way less than Navjot Singh Sidhu. Kalank releases in theatres on Wednesday, April 17. It is produced by Karan Johar's Dharma Productions and directed by Abhishek Varman. Apart from the four leads, the movie also stars Madhuri Dixit, Sanjay Dutt and Kunal Kemmu, and has a dance cameo by Kriti Sanon in the song Aira Gaira.